artists from a range of creative disciplines to respond to the theme of ‘found’, reflecting on the Museum’s heritage. 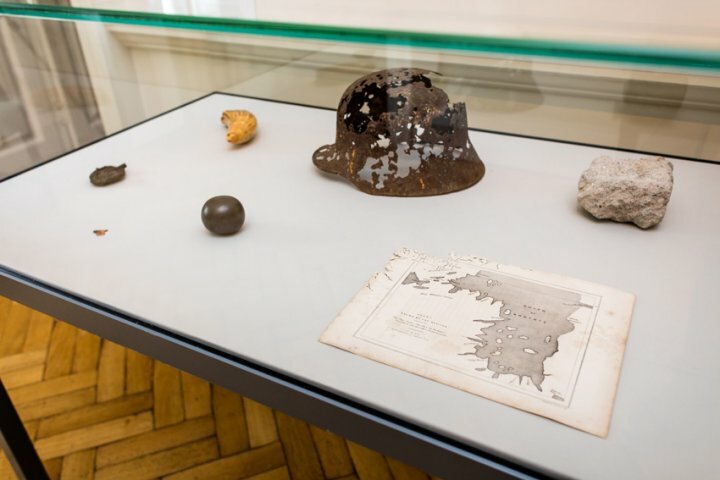 Combining new and existing work with found objects kept for their significance, this major exhibition unfolded throughout the Museum, interacting with historic works in the Collection and with each other. Parker’s inspiration was in part taken from the Museum’s eighteenth-century tokens – small objects left by mothers with their babies as a means of identification should they ever return to the Foundling Hospital to claim their child. Artists participating in FOUND included: Ron Arad RA, Phyllida Barlow RA, Jarvis Cocker, Richard Deacon RA, Tacita Dean RA, Jeremy Deller, Edmund de Waal, Brian Eno, Antony Gormley RA, Mona Hatoum, Thomas Heatherwick RA, Christian Marclay, Mike Nelson, Laure Prouvost, David Shrigley, Bob and Roberta Smith RA, Wolfgang Tillmans RA, Marina Warner, Gillian Wearing RA and Rachel Whiteread. 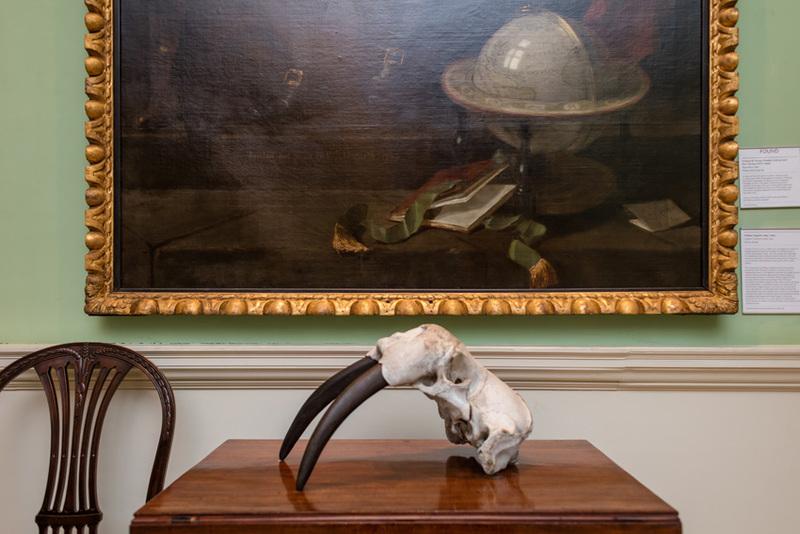 Twenty-two Royal Academicians contributed to the show, echoing the role that the Foundling Hospital played in the development of the Royal Academy. 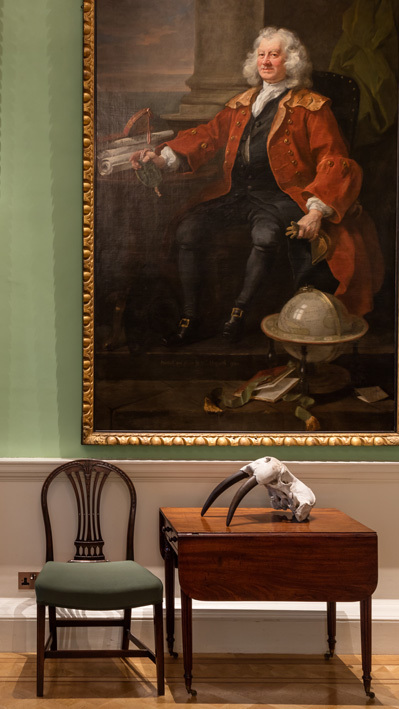 Founded in 1739 to care for babies at risk of abandonment, the Foundling Hospital was supported by the leading artists of the day, many of whom donated work, thanks to the revolutionary involvement of the artist William Hogarth and the composer George Frideric Handel. The Royal Academy’s origins can be traced to the collective mobilisation of artists and the promotion of British art that took place at the Hospital during the eighteenth century. 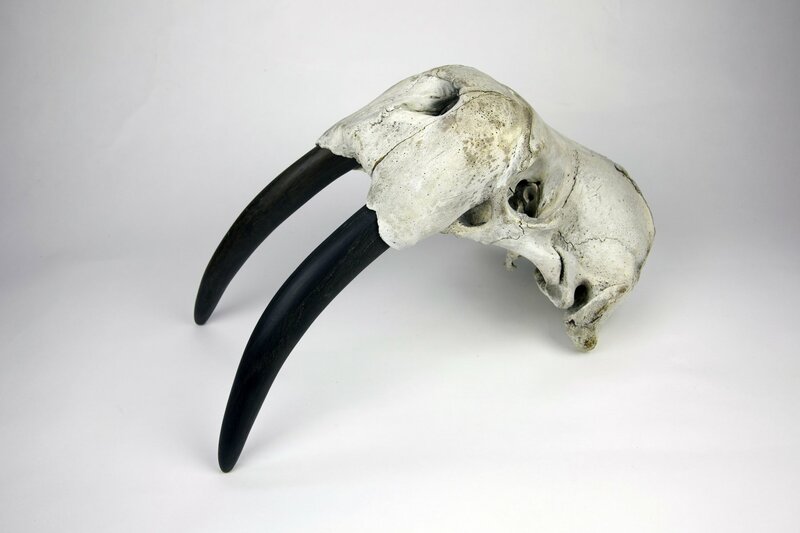 In 1995, we found the skull of a walrus minus its tusks in a prop store of the Kampnagel complex in Hamburg. Dan’s father dug the bog oak out of a riverbank in Cranleigh, Surrey in the 1960’s. It had lain around the studio for many years. 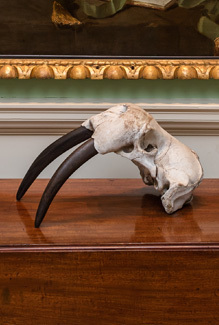 The curve of the ancient blackened wood fitted well with the natural curve of the walrus tusks and seemed a perfect material to replace the stolen ivory. While clearing the loft of a house in the Veneto region of Italy, this helmet came to light. A family member Giacomo had discovered it while restoring an old disused property in the 1960s. We know nothing about who originally found it, but we think it is from the Great War and probably from the Quartier del Piave. It brings to mind two key assaults in 1918: the Battle of the Piave in June and the Battle of Vittorio Veneto, where the Italian army with support of the Allies hastened the complete disintegration of the Austro-Hungarian army. 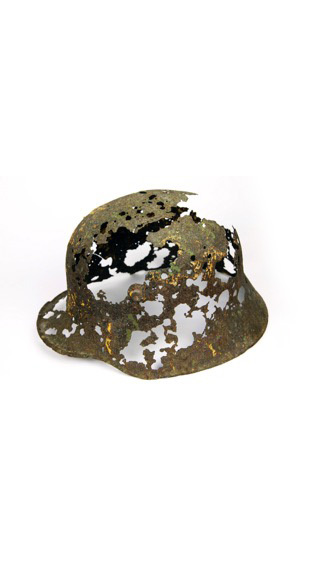 In 1989, Dan worked on Derek Jarman’s film War Requiem and the helmet was used in a dream sequence.